With more than 99 percent of votes counted, Netanyahu’s Likud party was set to lead a right-wing bloc with 65 of the 120 seats in parliament. “We respect the decision of the people,” he told reporters. Although Gantz’s Blue and White Party was set to win a similar number of seats to Likud, there was no obvious path for its leader to find a parliamentary majority. Addressing a jubilant gathering of supporters early on Wednesday, Netanyahu praised the crowd for an “almost inconceivable achievement”. “I was very moved that the nation of Israel once again entrusted me for the fifth time, and with even greater trust,” he added. Final results are expected to be announced on Thursday. Despite facing the possibility of being indicted on charges of corruption, fraud and breach of trust in three cases, Netanyahu is now set to embark on a record fifth term in office and will also become Israel‘s longest-serving prime minister. His previous terms have been marked by a rightward shift in Israeli policy towards the occupied Palestinian territories, as peace talks with the Palestinians have collapsed and the expansion of illegal Israeli settlements in the West Bank had accelerated. In the run-up to the election, he said he would annex Israeli settlements if he won a fifth term. “I think the whole rules of the game are changing, because now Israel is clearly superimposing all of Greater Israel on all of historical Palestine,” said Hanan Ashrawi, PLO executive committee member. US President Donald Trump phoned to congratulate Netanyahu on his victory, the Israeli leader said later on Wednesday. Trump told reporters at the White House that Netanyahu’s re-election improved the chances of a peace deal between Israel and the Palestinians. However, Diana Buttu, a Palestinian Haifa-based analyst and former legal adviser to Palestinian peace negotiators, told Al Jazeera that Netanyahu’s renewed mandate will allow him to continue his “policies of apartheid, colonisation and racism”. Buttu said that for as long as Netanyahu has been prime minister, the Palestinian Authority (PA) has been urging the international community to intervene during the bombing of Gaza, construction of illegal settlements, demolition of Palestinian homes, passage of the nation-state law and regarding the annexation of the West Bank. “[Netanyahu] is ideologically opposed to Palestinian freedom [and] he’s going to continue to do whatever he wants against Palestinians,” Buttu said. Israel’s President Reuven Rivlin is due to begin meeting with the political parties who won entry into the Israeli parliament, the Knesset, next week to see who they will support for prime minister. He will then select a leader to try and form a coalition. Voter turnout was 67.9 percent, down from 71.8 percent in 2015. Turnout in the Arab community was significantly lower, standing at 46 percent an hour before the polls closed. 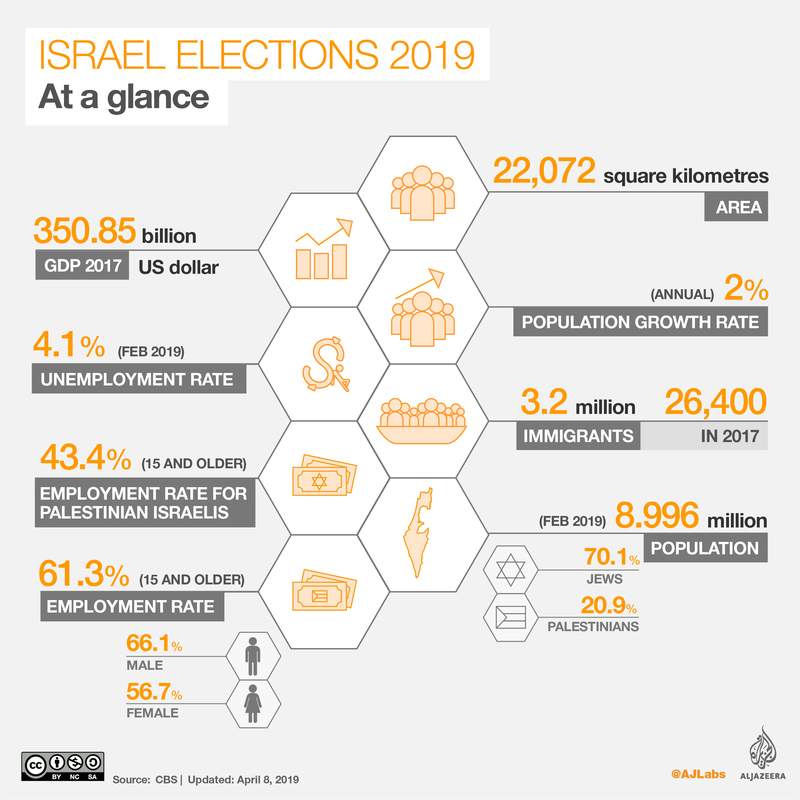 Despite a low voter turnout among Palestinians, the Arab alliances of Hadash-Ta’al and Ra’am-Balad passed the threshold, gaining six and four seats respectively. 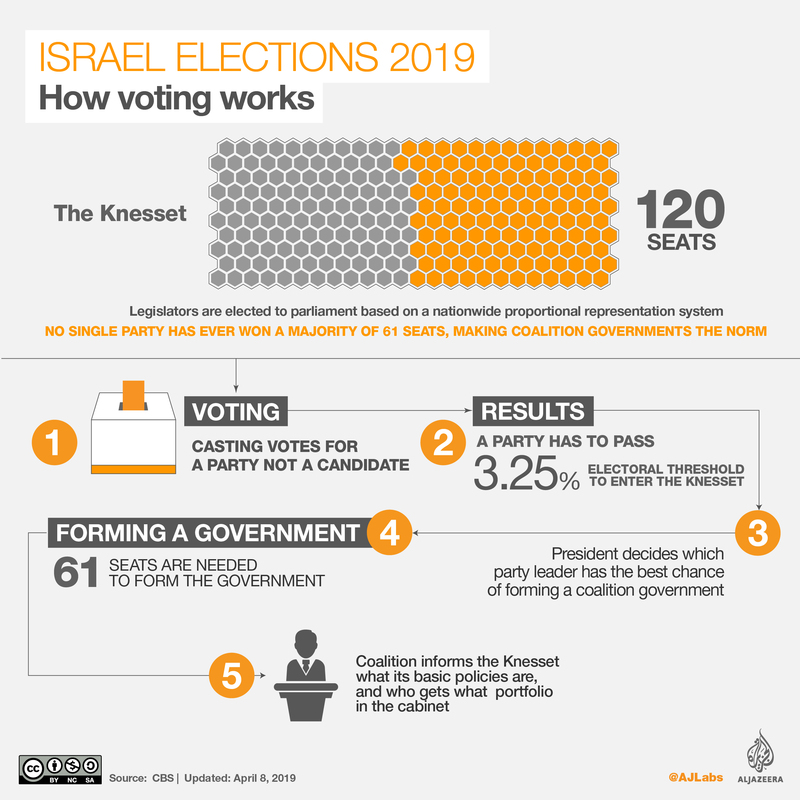 However, their total of 10 Knesset seats is lower than in the 2015 elections, when the Arab Joint List won 13, making them the third-largest faction in parliament. Some voters blamed the low turnout on the split between Arab factions, which had united for the 2015 vote, while there was also a campaign to boycott the election. On Tuesday, Likud activists placed 1,200 hidden cameras in Palestinian polling areas, prompting the Central Elections Committee (CEC) chairman Judge Hanan Melcer to file a complaint to police. Netanyahu responded saying there should be cameras everywhere to “ensure a fair vote”. The cameras were subsequently removed.